The Friends Group completes many projects within the Park. In combination with contributions of money and materials, volunteers, and DCNR staff, we have made many improvements for the enjoyment of everyone. New projects are always in the making. Please consider contributing to this effort either financially or through becoming a Friend volunteer. You can become a Friend and/or donate here. 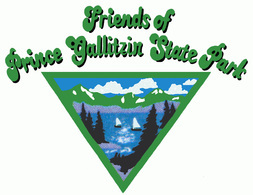 The Friends of Prince Gallitzin State Park is under the umbrella of the Pennsylvania Parks and Forests Foundation (PPFF), a 501 (c) (3) non-profit organization. Donations are tax deductible to the extent allowed by law. Click here for a list of current and past projects.